“The Cuban Affair feels authentic and real, and it provides knuckle-white tension mixed in with levity." "The opening of The Cuban Affair is dynamite—crisp, funny and dramatic—and the climactic conclusion is masterful action writing, fast, precise and genuinely gripping." "This is powerful, mythic stuff, like Confederate gold and Nazi treasure...As the true nature of the charter-boat owner’s job becomes clear and the betrayals begin, DeMille mounts a long, magnificent sequence with boat chases, helicopter rescues, and tracer fire. They’re all described in that visceral style the author has mastered." "This book has that incredible wit that Nelson DeMille has, and nobody writes characters like Nelson does." 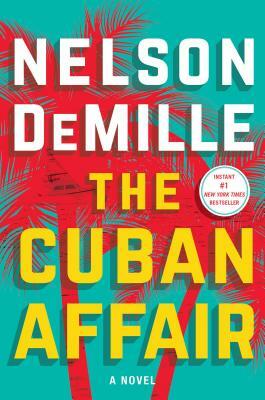 "DeMille’s known for penning hot thrillers (Plum Island, Night Fall), and this one—his 20th—doesn’t disappoint...DeMille keeps it fast-paced, with fascinating details about contemporary Cuba." "Ambitious...a masterpiece of both form and function. Storytelling at its very best." “The Cuban Affair offers romance, adventure and an astute and amusing look at today’s Cuban communist police state." "Bestseller Nelson DeMille’s reputation precedes him, and his new novel delivers...This one will keep you on the edge of your seat." "With his signature humor and heart-pounding pace, DeMille does not disappoint in this brilliantly written novel."